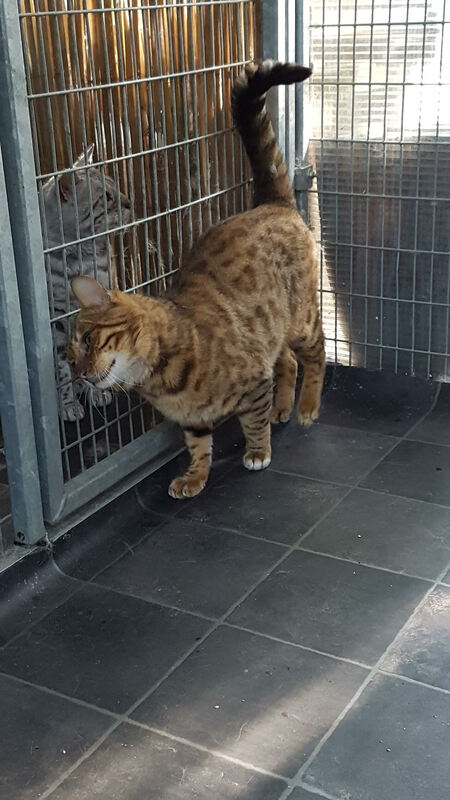 Oscar is a beautiful young golden Bengal cat who needs an experienced owner. He is extremely timid as he is not used to being handled with love and life in a cattery means his progress is slow even with our dedicated team of cat cuddlers devoting time to him. Having said that, he has come on well since arriving with us but will get on much better once in a safe home environment. Oscar is neutered, microchipped, vaccinated, vet checked and given flea and worm treatment, please complete the enquiry form if you think you can be the one to bring him happiness.